Great gift & collection. What you see is what you get ! Lot numbers may vary. Photos are. Photo Policy Country of Origin: China. New Mega Blocks Call of Duty Set 06818 Dome Battleground. Condition is New. Shipped with USPS Priority Mail. 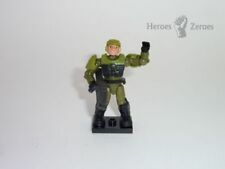 Halo Heroes Series 8 MASTER CHIEF - MARK V ARMOR NEW in Box. Smoke and Pet FREE. Trending at C $12.70eBay determines this price through a machine-learned model of the product's sale prices within the last 90 days. Mega Bloks, Mega Construx Call of Duty Urban Assault Copter, FDY78, $49.99, New, Buildable Urban Assault copter with rotating propellers, machine gun, and working missile launcher, Engine hatch opens for display, Side doors open to load gear inside. 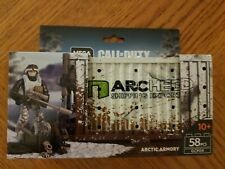 This listing is for a brand new Mega Construx Call of Duty Arctic Armory (58 piece) set. This item is brand new! Thanks for viewing my listing! Trending at C $31.18eBay determines this price through a machine-learned model of the product's sale prices within the last 90 days. 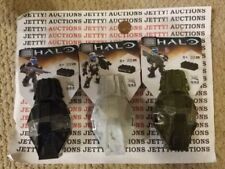 *NEW* HALO ODST Troop Pack 4 Figure Set MEGA BLOKS CNG99 Dutch Covenant *BUY NOW. Condition is New. Shipped with USPS First Class Package. The rarest of all the rise of the predavors series now is your chance to add this 27 pc alliance dragon to your collection. 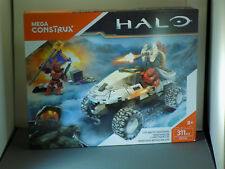 Includes (as shown on box): 1 buildable vehicle, 1 covenant minifig, 1 unsc spartan minifig. 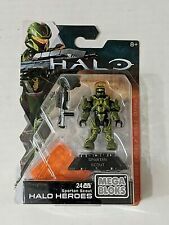 Mega Bloks HALO Flood Invasion 265pc 97430. Condition is Used. Complete sealed bags. Shipped with USPS Priority Mail. Created and manufactured by Mega Brands, Incorporated, Mega Bloks is a plastic construction toy designed for young children. In addition to its basic building blocks, the company has developed numerous themed sets. Award-winning Mega Bloks sets are praised for promoting free, imaginative play and enhancing creativity in small kids. What ages are Mega Bloks toys appropriate for? The classic bagged set of 80 Mega Bloks is suitable for children ages 1 to 5. Specialty sets are labeled according to age appropriateness. There are Mega Bloks sets suitable for children up to age 6. Mega Brand's other major toy line, Mega Construx, includes theme sets suitable for children ages 8 and up. Sets for kids 8 and older include the Halo, American Girl, Star Trek, Welliewishers, and Barbie sets. What is included in the basic Mega Bloks bagged set? The Mega Bloks First Builders set includes 80 basic building blocks in bright primary colours. 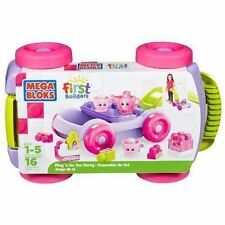 Mega Bloks in the basic set are just right for preschool-aged children. The set of 80 comes packaged in a single PVC-free bag, which can be used for ongoing storage. 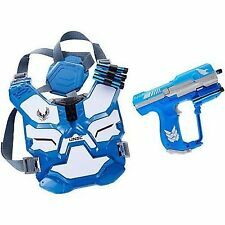 The bag zips closed to keep toys secure, and it has a soft, easy-grip handle for convenient carrying. The First Builders set has a number of special shapes that add visual interest to your child's creations. Are Mega Bloks easy to clean? Mega Bloks are made of sturdy plastic, so they can take a beating from active kids. However, in time, your blocks might begin to show signs of use. It is remarkably easy to remove dirt and grime from Mega Bloks surfaces. Any of the following three methods can be used to clean and sanitize even large batches of blocks. Sink or bathtub method: Fill a sink or bathtub with warm water and a mild detergent. Add Mega Bloks, and allow them to soak. Use an old toothbrush to scrub away particularly stubborn spots. To disinfect blocks, add a small amount of liquid bleach to the water. Rinse well after soaking, and allow the blocks to air-dry. Dishwasher method: Place Mega Bloks in a mesh bag and place on the top rack of your dishwasher. When the dish cycle is complete, remove pieces, and spread them on a towel. Allow pieces to air-dry completely before putting them away. Washing machine method: Put Mega Bloks in a mesh bag that closes securely. Place the bag in your washing machine, and wash in warm or hot water. Spread the pieces on a towel, and allow them to air-dry completely before storing. Content provided for informational purposes only. eBay is not affiliated with or endorsed by Mega Brands.